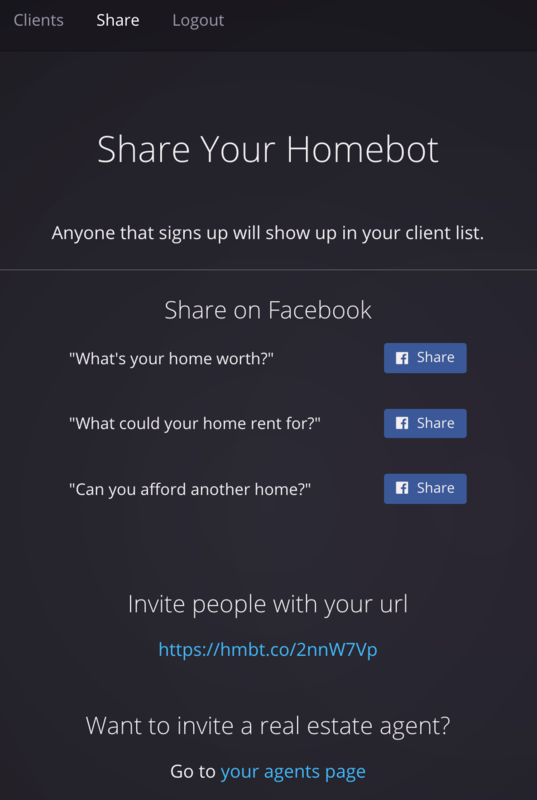 Did you know you can build your client network by sharing to your Facebook, Linkedin, and other social media sites? 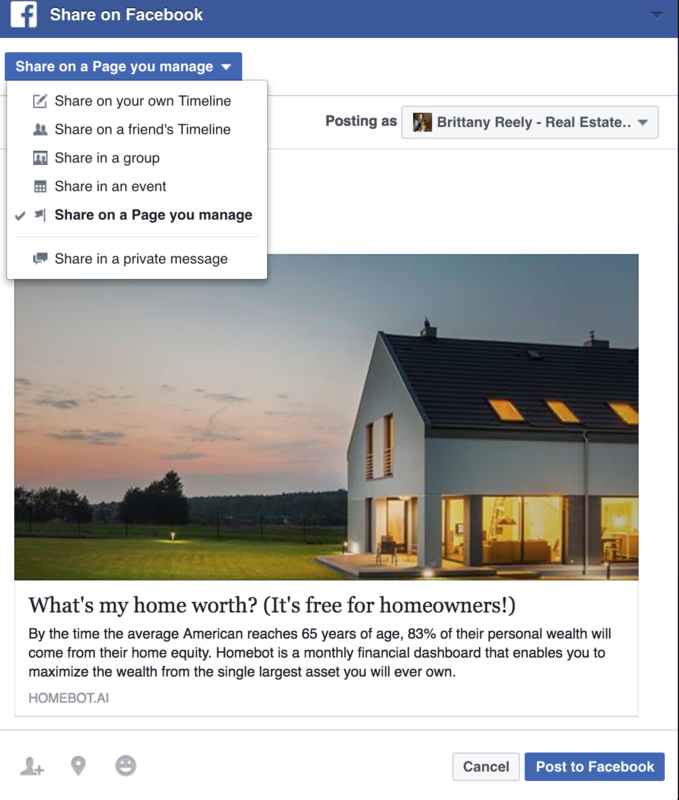 Using the "Share" tab at the top of your screen, you'll have the option to share directly to Facebook or use your personalized link (copy and paste) to post on any social media site you'd like! Anyone who signs up will automatically be added to your client list and start receiving their monthly digest. 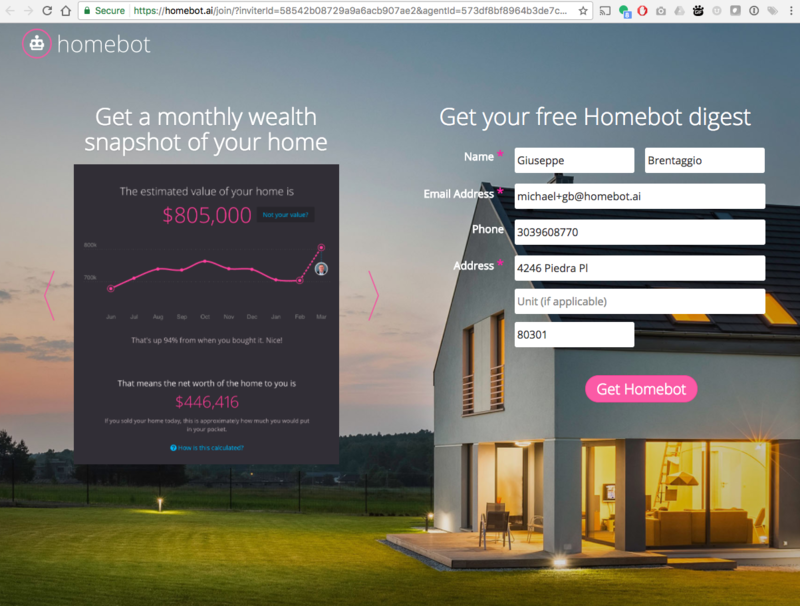 When a potential lead clicks on your post, they will be directed to the following sign-up page (Note: The client will see YOUR branding, not pictured here). 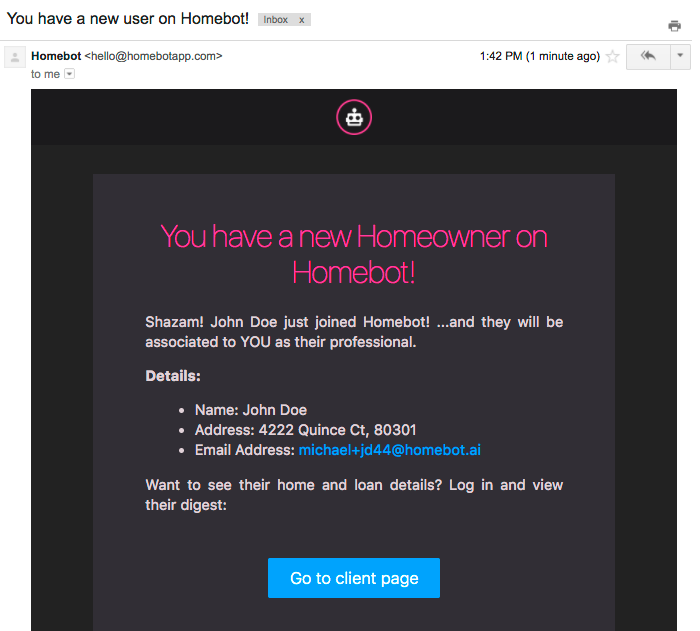 Once they complete this short form, they'll receive their first Homebot Digest in just a couple minutes and you will receive an email notification that says, "You got one!! "(almost literally) that includes their contact information so you can reach out and welcome them immediately, if you'd like (see sample below).